A monthly celebration of all things local & unique to the Bay Area. Located in the heart of the bay on Treasure Island in San Francisco. 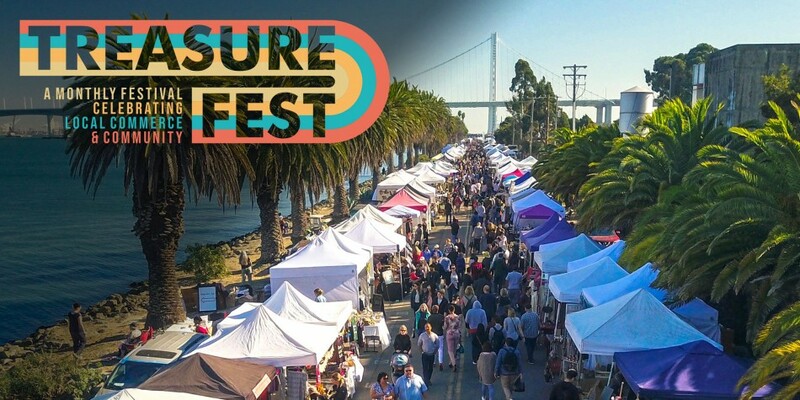 Join us Match 30th & 31st for the FIRST TreasureFest of SPRING in the Bay Area! The Bay Area's largest monthly gathering of makers, indie designers, artists, vintage curators and antique collectors! A hand picked, gourmet food lineup just as diverse as the Bay Area itself. Come hungry, leave happy. A curated collection of local and award winning wines, beers, spirits. Seasonal cocktails from local ingredients & more. Live local music from up & coming artists. Plus interactive vintage games and treasure hunts for kids & adults!